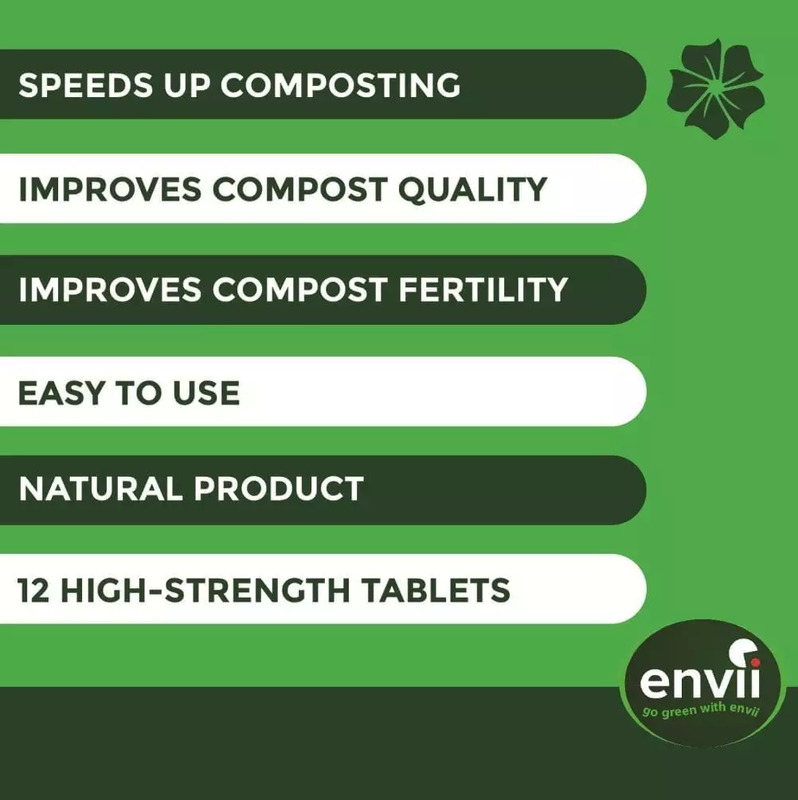 Organic compost accelerator that increases the speed of the composting process to produce rich, healthy, organic compost in as little as three weeks. Also contains beneficial bacteria and seaweed that will help protect plants from harmful pathogens. Organic Compost Accelerator, Speeding Up the Composting Process! Making your own compost is great as it offers an extensive list of benefits. From ensuring your plants get the right organic nutrients needed, and ensuring you’ve done your bit to help the environment. However, as you are looking at a compost accelerator, we are going to assume you already know the benefits. Unless you have the right conditions in your compost pile, the composting process can take anywhere between 3 & 12 months to produce any usable compost. If you are composting to re-use in your garden, the chances are that you are going to need it a bit quicker. This is why a compost accelerator is essential! 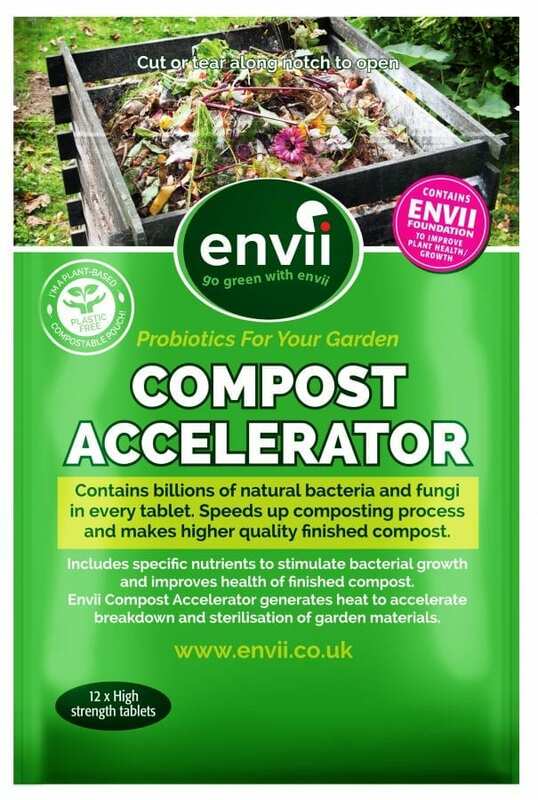 Compost Accelerator contains a carefully selected blend of nutrients, task specific bacteria and other natural, organic ingredients. The specific nutrients stimulate bacterial growth whilst also increasing the temperature in the centre of your pile. This aids the breakdown and sterilisation of garden materials. The result is rich, organic compost in as little as 3 weeks! To ensure the best compost possible and to make our Compost Accelerator truly unique, we have incorporated extracts of our Foundation & premium seaweed fertiliser, SeaFeed Xtra. Foundation increases plant survival rates by producing a bacterial forcefield around the roots and protecting them from diseases. Whilst the SeaFeed Xtra improves plant growth and crop yield. Organic, homemade compost, plant protection in the form of bacterial forcefields, improved plant growth and crop yield. All without costing the world winner! Learn more about Keeping Your Compost Healthy. What To Look For When Buying Compost? Buying compost from your local garden centre is cheap and easy, which is why most of us do it. Although, this compost is usually full of all sorts of nasties that can be passed on to your plants. affecting their growth and in recent years, the quality of shop bought compost has gone downhill massively. To learn more about what goes in to shop bought compost, have a read of our post compost quality control. 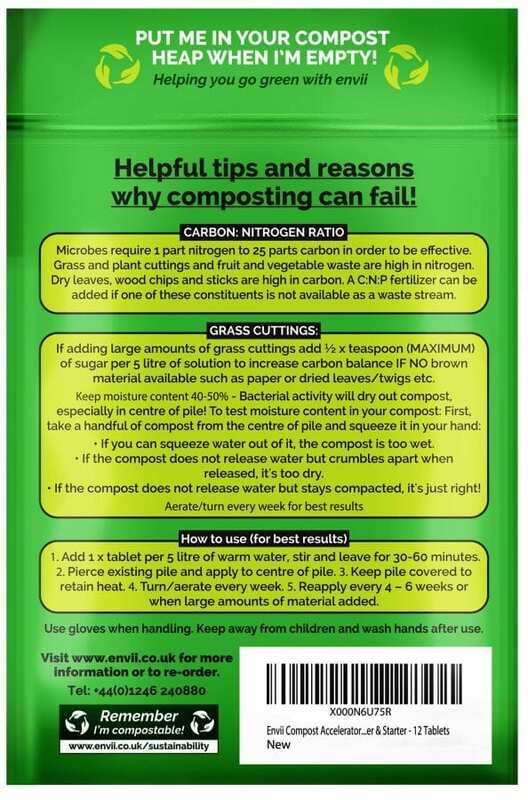 Or if you want to know how to improve your shop bought compost, try this! Microbes require one-part nitrogen to 25 parts carbon in order to be effective. Grass cuttings, plants, fruits and vegetables are all high in nitrogen whilst dry leaves, sticks paper and eggshells are all high in carbon. Ensure you get the material balance right to ensure maximum performance. If your compost pile is predominantly nitrogen, i.e. grass cuttings, add ﾽ a teaspoon of sugar per 5 litres of water when using Compost Accelerator to increase the carbon balance, sugar is a reliable source of carbon. Bacterial activity requires moisture to work, it’s important that you keep the moisture content in your compost pile between 40-50%. If you can squeeze water out of your compost, it’s too wet, if it crumbles it’s too dry. If it stays compact and doesn’t release any moisture, it’s just right! If you want to learn more about how to make your own home-made compost The Middle Sized Garden will help massively. Compost requires 1 part nitrogen to 25 parts carbon. Grass, plants, fruits and vegetables are high in nitrogen and dry leaves, newspaper and sticks are high in carbon. Do I still need to aerate my compost? The bacteria will still work without aerating, but we recommend aerating every week. Is this safe to use with worms? Yes, this product is safe to use in vermicompost and will help to further speed up the composting process. How much compost does one tablet treat? Each tablet will treat around 150 litres of compost. Revive plants that are either starting to die or are coming towards the end of the season. The unique blend of nutrients act as a first aid remedy for plants to stimulate the plants repair mechanism and bring slow growing or dying plants back to life.